»The Indian subcontinent has seven principal mountain ranges and the largest of all is the Himalayas that lies in the northern part of India. The famous peaks and ranges include the Kangchenjunga range in the Eastern Himalayas which frames the hill stations of Darjeeling and Gangtok as well as the Nanda Devi in Uttarakhand. Then there is Shivalik range that also lies within the same region has some famous hill stations that include Dalhousie, Kullu, Shimla, Nanital and many more. 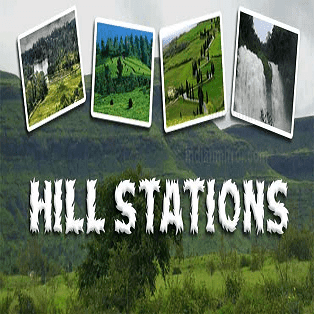 »Most of the hill stations in India were developed by the British, around a central mall, to get respite from the oppressive summer heat. Many have picturesque lakes as their focal point, making them excellent places for boating activities.